This beautiful home beckons you to come in and get comfortable. 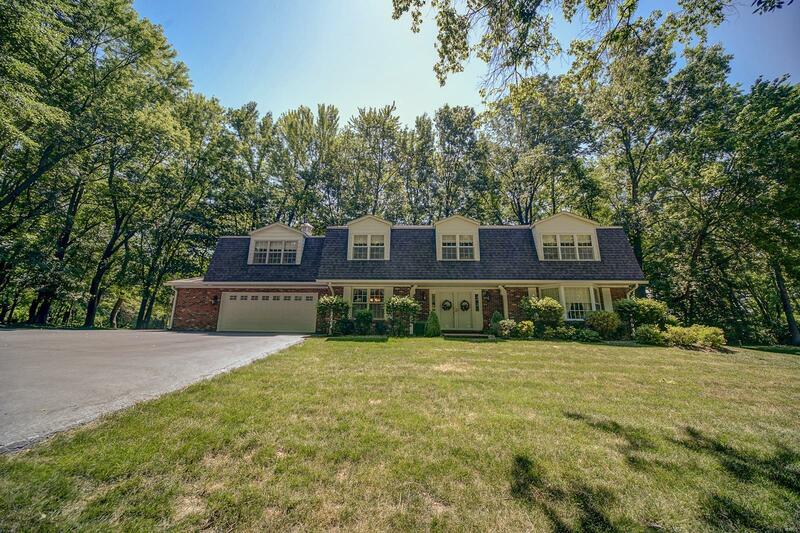 Custom one owner home gracefully sits on a 1.5 acre wooded lot. You won't lack for space in this 4900 sq ft, 5+ bedroom home. So much everyday living right here in the bright, open updated kitchen w/center island, desk area which opens to the breakfast area, deck, wet bar & family rm w/gas fireplace. There is also a laundry rm & mud rm off the kitchen adjacent to the garage entry. Throw in a formal living & dining rm on the main level for even more space. On the second level you find a spacious master suite, walk in closet, private master bath w/seperate vanity area. 4 additional bedrooms plus a great bonus rm which could be a 6th bedroom. There is even more, a finished lower level has a big family rm w/woodburning fireplace, wet bar, bathroom, craft room and lots of storage. The home has a beautiful wooded setting while still being close to shopping and amenities. Over sized garage has a fireproof safe.